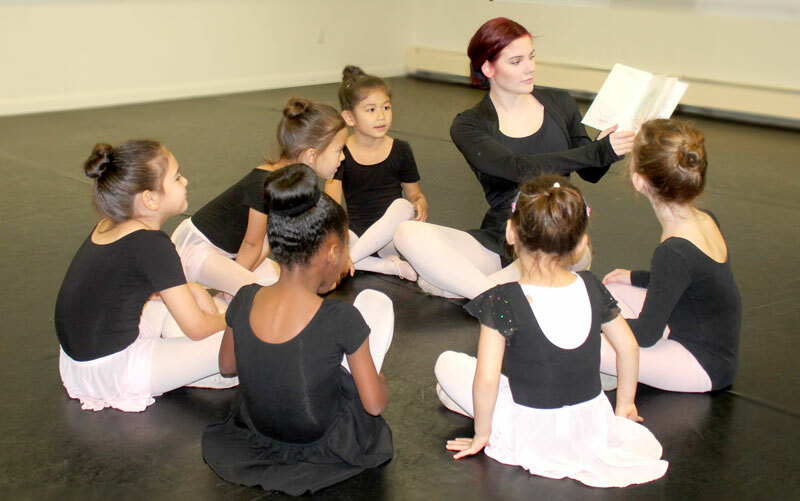 The DRESS CODE and BEHAVIOR CODE are a critical part of maintaining the educational objectives at Ballet Arts Studio, The Dutchess Dance Company, and Dance Beacon. These traditions of classical training instill a positive work ethic and discipline. All of the policies require very strong parental support. Dress code for girls- BALLET: Black tank top leotard or sleeved leotard only (spaghetti strap, mesh, lace and "backless" leotards not permitted), pink tights, pink ballet slippers with elastic sewn on. Solid-colored black or pink ballet skirts are permitted for dancers Middle School and above. Lower School dancers are not permitted to wear skirts. Pink pointe shoes in pointe classes with the ribbons sewn, not pinned. Hair in a bun (see below). Dress code for boys- BALLET: Black tights, white t-shirt, white socks, white or black ballet shoes. Dress code for girls- MODERN & JAZZ: Solid color tank top leotard or sleeved leotard only (spaghetti strap, mesh, lace and "backless" leotards not permitted), black or pink tights without feet or convertible. Fitted black shorts are permitted (no writing, words or designs allowed on shorts). Dancers must have black jazz shoes for Jazz. Flesh-colored "foot undies" are optional for modern. Hair can be in a bun or in a ponytail (see below). Dress code for boys- MODERN & JAZZ: Solid color leotards or t-shirt, black tights without feet, footwear per instructor. Dress code for girls- TAP: Solid color tank top leotard or sleeved leotard only (spaghetti strap, mesh, lace and "backless" leotards not permitted) and black, tan or pink tights. Fitted black shorts are permitted (no writing, words or designs allowed on shorts); skirts not permitted in Tap II, III, and IV. Black tap shoes with flat tap heel. Hair can be in a bun or in a ponytail (see below). Dress code for boys- TAP: Black dance pants or sweat pants, t-shirt, tap shoes with flat tap heel. Dress code for girls- THEATER DANCE: Solid color tank top leotard or sleeved leotard only (spaghetti strap, mesh, lace and "backless" leotards not permitted) and black, tan or pink tights. Fitted black shorts are permitted (no writing, words or designs allowed on shorts); skirts not permitted. Tan character shoes with low heels for Theater Dance III; black jazz shoes for Introduction to Theater Dance and Theater Dance I and II. Hair can be in a bun or in a ponytail (see below). Dress code for boys- THEATER DANCE: Black dance pants or sweat pants, t-shirt, black jazz shoes. Dress code for adults- Adult students may wear what they wish, but we ask that all adult students be mindful of the Ballet Arts' Dress Code. NOTE: Legwarmers, sweaters, non-ballet skirts, t-shirts and cover-ups are not allowed, unless by specific permission and for a specific reason. Students must ask the instructor, prior to the beginning of class, for permission to wear any additional clothing in class that day. Hair in a bun: Hair must be pinned securely in a bun at the crown of the head, with bangs pinned back so that hair is not in the eyes. Hair nets are very strongly recommended. Girls with short hair must use tight barrettes to pull hair back. Children should not wear head bands that slip off. Ponytail: Hair must be pulled back in a high ponytail, at the crown of the head, and tighly secured. Hair should be completely off the face and neck. Bangs should be pinned so that hair is off the face. Jewelry: Only very small stud earrings are permitted. No other jewelry of any kind is allowed. Dancers wearing any other jewelry will need to remove them before class. To avoid the possibility of losing something valuable, we suggest you do not bring these items to Ballet Arts Studio. Behavior Code: Students are requested to respect the space in which the dance work takes place by only wearing dance shoes while in the studios. All students are expected to bring their dance shoes (which should only be worn indoors) with them to class and change into their dance shoes before entering the studios. Students may bring dance related clothing and accessories into the studio. Water in non-breakable containers is also permitted. No other drinks, or food, are permitted in the studio. No cell phones, iPads, touch screens, computers, or any other electronic equipment are permitted in the studio. Students must be on time for class. Class instructors in each class make their own policies regarding when it is too late to join a class, but a student should never be late by more than ten minutes except under special circumstances. If an instructor determines that a student is too late to join the class, that student is expected to sit quietly in the studio and watch the class. A late student should wait until motioned by the instructor or staff to enter the studio, either to watch or join the class. Students should not leave classes early. In the event a student must leave class early, that student should inform Ballet Arts’ staff and the instructor before the class begins, and should leave class at the necessary time in a manner designed to result in the least disruption to the class. Visits to the bathroom and water breaks should be completed before or after class. At the discretion of the instructor, water in non-glass re-sealable containers are allowed in the studios. Water bottles must always be tightly closed when not being used. Sips of water may be taken when they will result in the least disruption to the class. Food and chewing gum are never allowed in the studios. It is customary and important for students to clap for each other and the instructor, and formally thank the instructor, at the end of each class. No smoking is allowed in or at Ballet Arts Studio. Ballet Arts Studio practices zero tolerance for drug and alcohol use. · Tuition is based on an academic year. Students must register each year. The total number of classes for each level and for each class during the year will vary depending on the calendar and on school vacation days. Ballet Arts Studio follows the Beacon School District holiday schedule. · An Installment Payment Plan of quarterly payments every eight or nine weeks is available for your convenience. Please remember that paying tuition in installments of every eight or nine weeks does not mean that there will be eight or nine classes at each level during the installment period. Tuition is due on the first day of each installment period. Ballet Arts Studio does not mail installment payment notices so we ask parents to please mark the calendar. There is a $15.00 late fee for tuition received more than ten days after the installment date. Students may not be permitted to take class if tuition is more than ten days late. · Attendance at all classes and rehearsals is very important for consistent technical and artistic development. Attendance at both classes and rehearsals is reviewed periodically by the Artistic Director, and unexcused absences may result in a change of class placement, removal from specific classes (for example, pointe classes), and inability to participate in performances, including the annual Spring Concert. If a dancer is tardy for class, the instructor determines whether or not the dancer can join the class. This is to ensure that all dancers warm up properly in class. If the instructor determines that the student cannot join the class, the dancer is expected to sit quietly and watch the class. · Make-up classes must be taken within the month a class is missed. Make-ups are available for classes cancelled due to inclement weather and also--at the discretion of the Artistic Director--for significant illnesses and other unforeseen circumstances. Family vacations, too much homework, scheduling conflicts, or a tired or sick dancer are not sufficient reasons to permit the make-up of a missed class. Please call the office to schedule a suitable make-up class at least two days in advance of any proposed make-up. Ballet Arts Studio faculty will determine the class level for each make-up class. 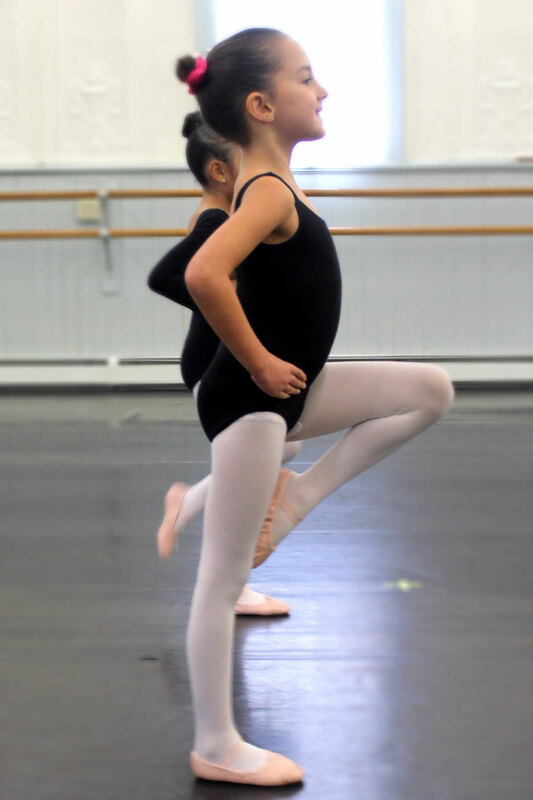 Make-up classes are generally not possible for dancers at an age where only one class is available to them each week, such as Preparation for Ballet and Lower School I ballet. · Trial Classes may be available to students wishing to experience new dance disciplines. Students and parents are encouraged to view classes they may be interested in joining during our “Open Curtains” and “Showing of the Curriculum” weeks (click here for Studio Calendar). Students and parents may also be able to watch classes by prior arrangement. 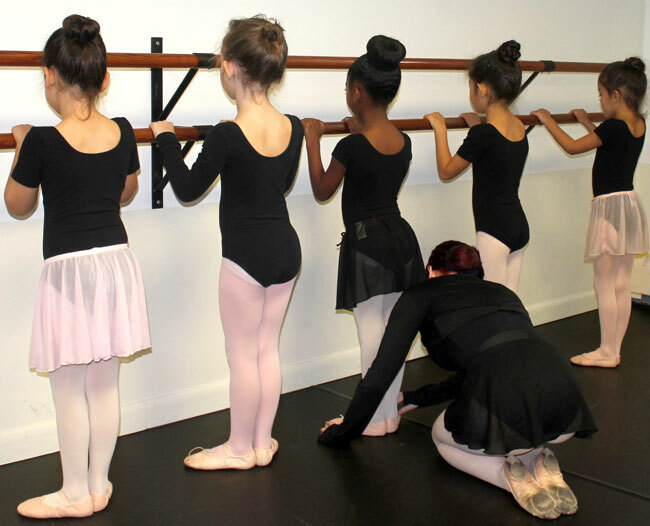 · Private classes/coaching is available with all instructors at Ballet Arts. These sessions must scheduled through the office. Cancellation of a private/coaching must be made more than forty eight (48) hours before the scheduled service, or the fee is due. Please see the Tuition Information form (click here for Tuition Information) for the fee schedule. · Audition choreography is also available at the studio. These sessions must scheduled through the office. Cancellation of a private choroegraphy session must be made more than forty eight (48) hours before the scheduled service, or the fee is due. Please see the Tuition Information form (click here for Tuition Information) for the fee schedule. Please note Ballet Arts does NOT charge a separate choreographer's fee; audition choreography privates are charged at the same rate at regular privates. · Refunds will be considered on a case-by-case basis, and must be requested through the office. Refunds are not available for involvement with sports teams, snow cancellations, school plays, personal vacations, family visits, or routine childhood illnesses. · Cancellations of any services, including privates and coaching, must be made more than forty eight (48) hours before the scheduled service, or the fee will remain due. · Tuition discounts of 10% are given beyond the first child registered in a family. · Concert fees, master classes, private coaching, summer programs and special events are charged separately from class tuition payments. · Viewing Classes: Parents and guests are generally not permitted to watch classes. Individual exceptions are made by the Director on a case-by-case basis. All classes are available for viewing during four weeks each year: The first week of classes; one week in the middle of November; during The Showing of the Curriculum week in the middle of December, and one week in the middle of March. Please see the Studio Calendar for the specific dates our classes are available for viewing. · Snow and inclement weather closings are treated as regular absences and our make-up class policies apply. Decisions regarding closing are made at the last possible moment to ensure that we do not close unnecessarily. Messages regarding closings will be on our phone system and on local radio stations, generally by 2:30 pm on the day in question. Pick-up and Drop-off: Please respect and abide by the safety procedures for drop off and pick up at Ballet Arts Studio. For the safety of all, please print and read Ballet Arts' Safety Procedures (see below) and please follow them. Please do not drop off or pick up students anywhere on Teller Avenue, or by pulling into the Staff parking area. NO EXCEPTIONS !!! Thank you. · Vacations and Holidays: All Beacon City School holidays and vacations are observed unless otherwise posted. The Dance Beacon/Ballet Arts Studio Vacation and Holiday Schedule is available at the office and on this website.